If you’ve ever seen the movie Apollo 13, you know power is everything. 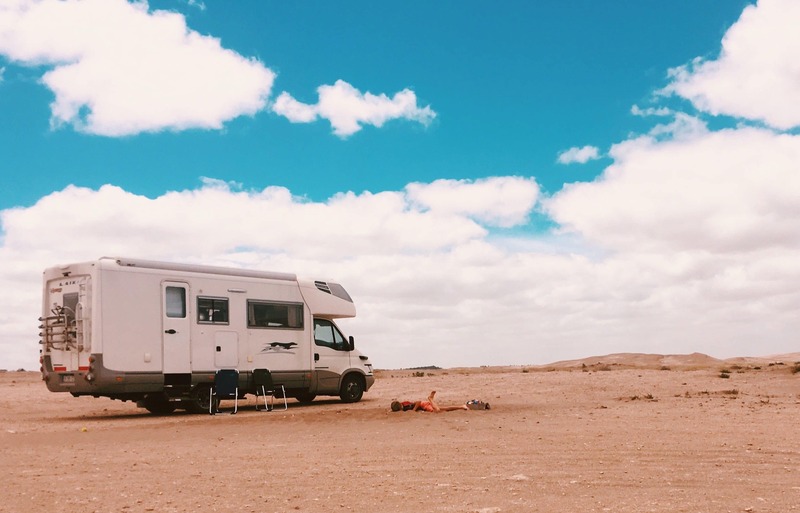 Whether you’re boondocking at a beautiful state park or tailgating in the parking lot at your alma mater, your RV needs power. You may not realize how much you rely on electricity, but you will as soon as you’re out of it for a few days on the road. The good news is that you’ve got plenty of options when it comes to powering your rig. 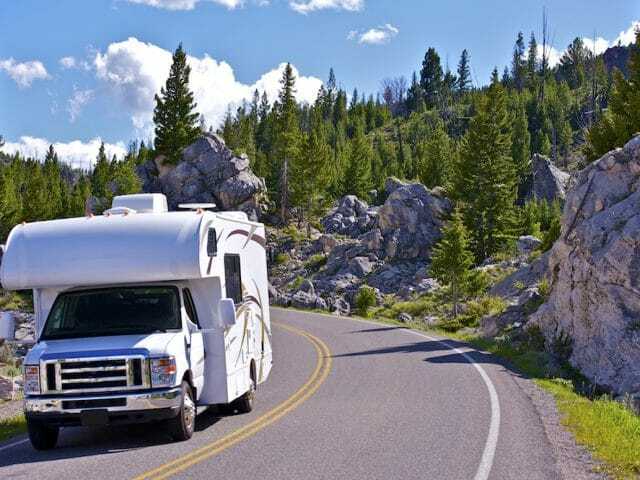 There are now more high-quality, wallet-friendly RV generator options than ever before. Here’s what you need to know. Before you begin your hunt for power, think about your needs first. Take a good, hard look at your camping style. 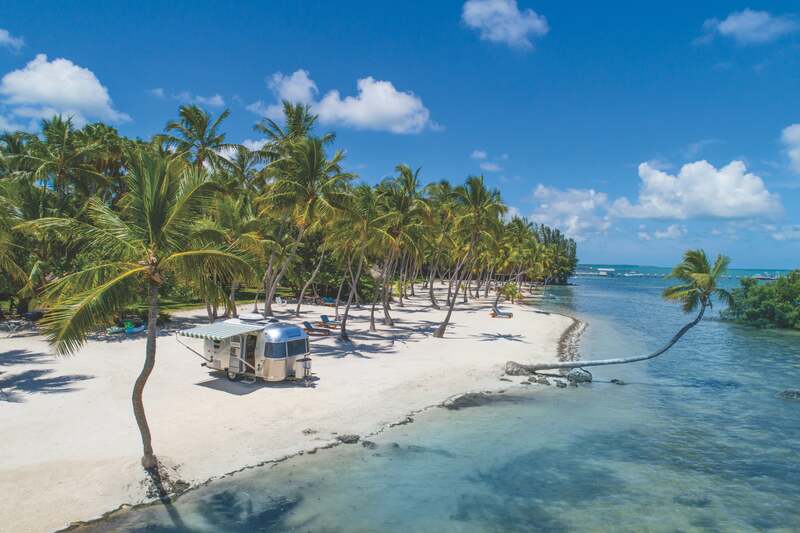 Are you interested in “roughing” it away from the amenities of the RV park? If not, then you probably don’t need a generator. Or you may want to buy a small one to use on travel nights when you only plan to sleep in the RV and move on. 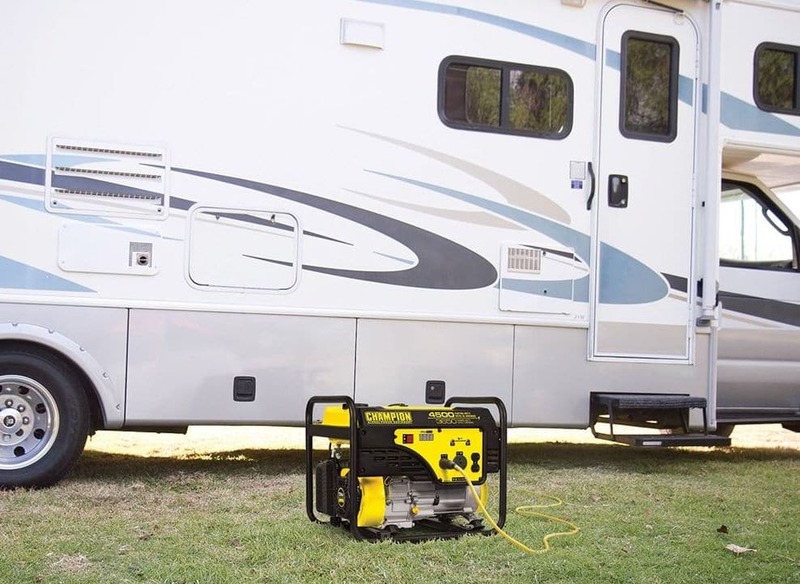 However, if you plan to camp in any areas where you won’t have access to a power hookup, then a generator is your best option. It’s also important to think about what you plan to power with your generator. This gives you an idea of how much power you’ll need when you get out on the road. Think about your power needs in terms of tiers, going from most to least important power needs. These tiers will differ from family to family, but let’s take a look at some common power needs. Your top-tier power needs are the things you need power for the most. 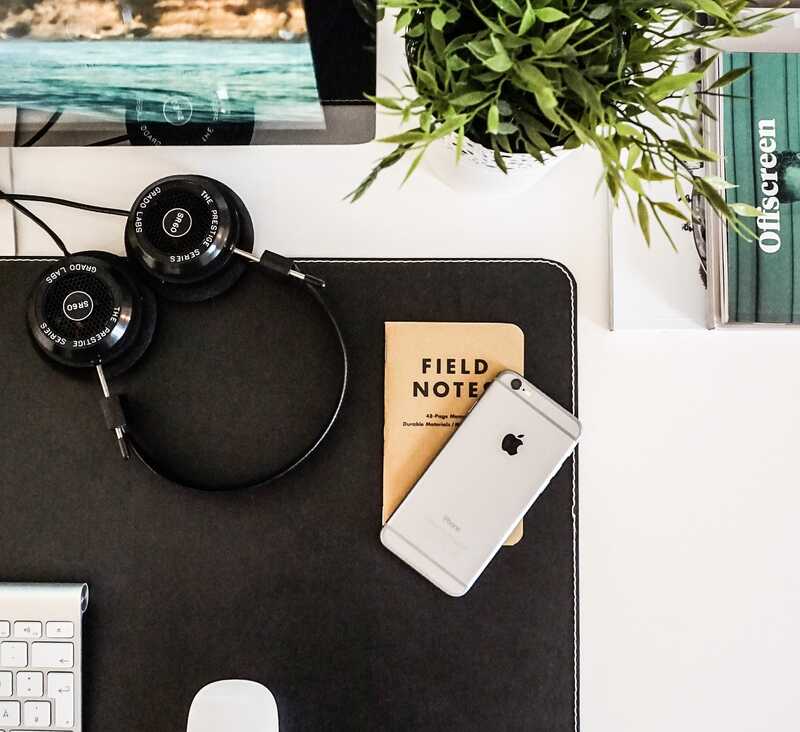 For you, it might be charging your portable electronic devices. Sensitive electronics, like cell phones, laptops, and tablets, can only be charged with an inverter generator (more on those in a minute). 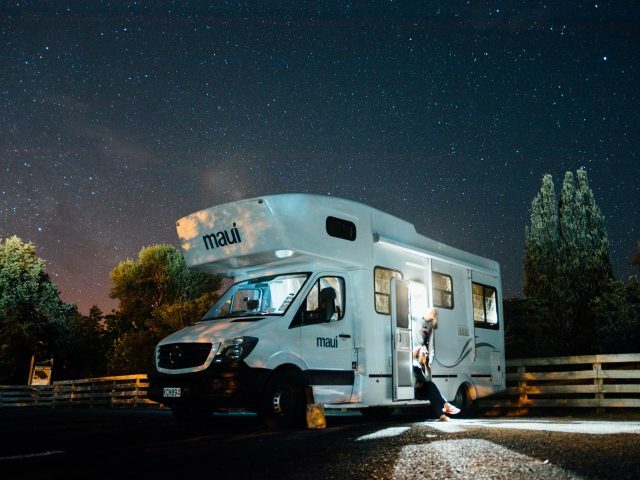 This also includes things like lights and the electric components of your RV (slides, awnings, motorized jacks). Also, your water pump needs power if you plan to use any of the water systems in your RV. And your furnace needs electric power to run the fans. These things will run on the RV batteries, but those batteries won’t survive more than a few days when you’re boondocking. RV batteries aren’t like car batteries. They won’t charge while your vehicle pulls them down the road. They only charge when plugged into a power source (like the campground power) or a generator. So even though many of your top power needs are taken care of by your batteries, they still need a charge from time to time. This category includes any appliance or electronics that you don’t need but sure like to have. Kitchen stuff like your microwave, toaster, or coffee pot is often part of this group. Also, your refrigerator might need electrical power. Most RV fridges work on both electric or propane. If you run out of propane, you’ll need electrical power to keep your food from spoiling. Personal hygiene items like a hair dryer or electric razor might land here. Your air conditioner might go in this group too, depending on where you’re camping. This final group includes stuff that you don’t need very often, but you like to have from time to time. Big items in this category are your television, washer/dryer combo, or dishwasher. As we mentioned before, the items in these tiers will differ from family to family. You might not consider the microwave a very important item. While others might not be able to function without their microwave. To each his or her own. Now that you’ve taken a hard look at your power needs, it’s time to look at the types of generators. An inverter generator is always the best choice for camping. There are two main types of generators: open frame generators and inverter generators. Open frame generators work great. They are generally cheaper than inverters, and they produce more power. The problem with open frame generators is that they’re loud. And when we say loud, we mean really loud. Which is not a good idea at a campground. If you’re planning to camp far away from other people, you could get away with it. But the noise doesn’t just scare off people. Animals won’t come near your site with a loud generator running. That throws out any hope of animal watching. Another downfall to open frame generators is that the electricity they produce isn’t safe for delicate stuff. You can power your coffee pot with it, but your laptop won’t fare well. To put it another way, an open frame generator produces “dirty” power. It’s the type of power you need to power most things, but the waves of power aren’t smoothed out. With an inverter generator, the power is produced in pretty much the same way as the open frame generator, by a fuel-burning motor. That current is called AC (alternating current) power. It’s then converted to DC (direct current) and then back to AC. This process of inverting the power from AC to DC to AC creates the “clean” power you need to power sensitive electronics. 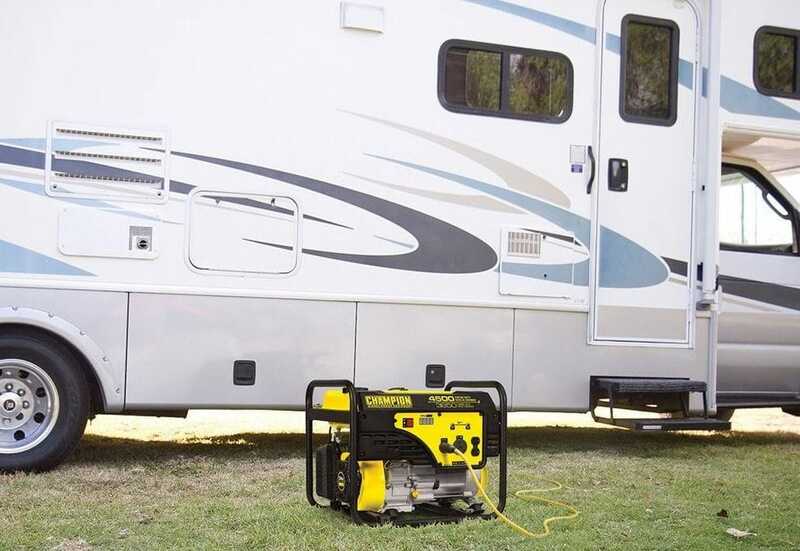 Because of the noise and power quality, an inverter generator is the best option for almost all RV rigs. The good news is that they are getting more cost effective all the time. And an added bonus is that they’re usually smaller and easier to haul than a big, open frame generator. There are lots of brands and options on the market, but we’ll go over our top picks here and discuss the power output of each. A 2000 watt inverter generator will power almost everything you need, except your air conditioner. Your microwave can run on a 2000 watt generator as long as you don’t have a bunch of other stuff running too. Oh yeah, and your hair dryer probably won’t work either. Depending on the size of your air conditioner, it needs 3000 and 3500 watts to start and about 2000 watts to run. Your hair dryer needs almost 2000 watts to start and run. 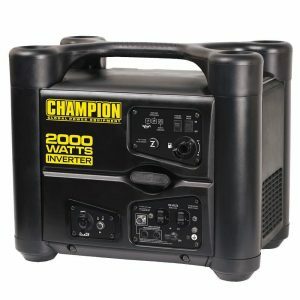 But if you’re okay without these two items, we suggest the Champion® 2000 Watt Inverter Generator with USB (pictured below). This generator is one of the best options on the market for the price. It weighs about 55 lbs and runs at about 53 decibels, very quiet for a generator. The best feature of the Champion is that it’s a stackable design. Meaning you can use it linked together with another generator. Why would you want to link generators? Because buying two 2000 watt generators gives you 4000 watts of power, and that will run any type of device you’ve got, including your air conditioner. The two smaller generators weigh less than a larger wattage generator so you’ll have an easier time moving them. Stackable smaller generators gives you some options. 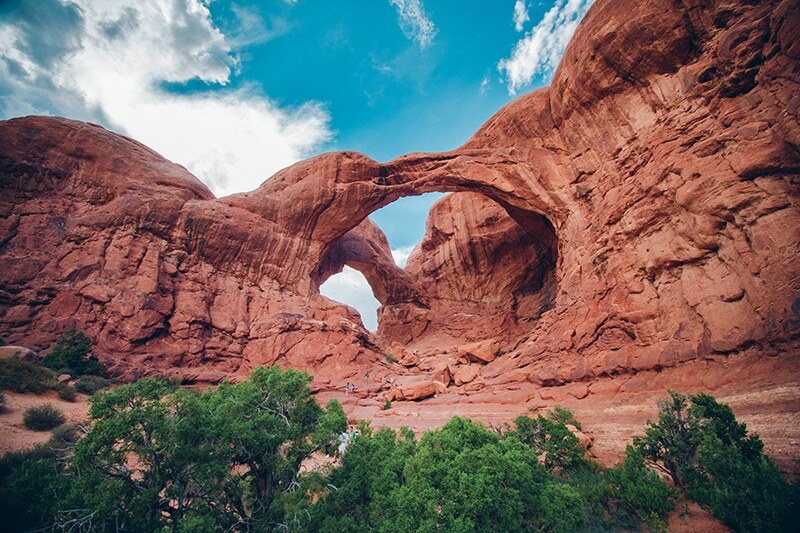 Maybe you plan to camp somewhere where you know you won’t use your air conditioner. Then you only need to bring one of them, but you always have the option to bring both if you know you will need your air conditioner. Using dual generators has its downfalls too. That’s twice the maintenance to keep both of them up, and twice the likelihood you’ll need service on one of them at some point. Okay, so let’s say you don’t want to mess around with the dual generator setup. There’s an option for you too. 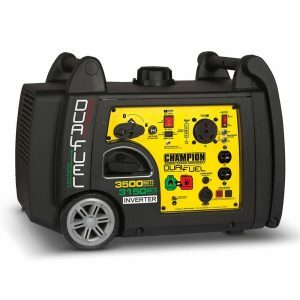 The Champion® 3500 Watt Dual Fuel Inverter Portable Generator (pictured below) will power everything in one, neat package. This generator has some great additional features. It has a 30 amp RV hookup built into it so there’s no need for an adapter. It also has an economy mode where it idles lower when your power needs dial down. This saves you money on fuel in the long run. It runs on either gasoline or propane, giving you further fuel options. It’s still quiet, although a little louder than the 2000 watt version, running at about 60 decibels. And it’s also heavier, about 110 lbs. So you’ve got to think about how you’ll lift it into your RV or truck before you decide on this one. It comes with built-in wheels and a pull handle so you can move it easily from one spot to another. Generate Your Own Power & Stay Where You Want! 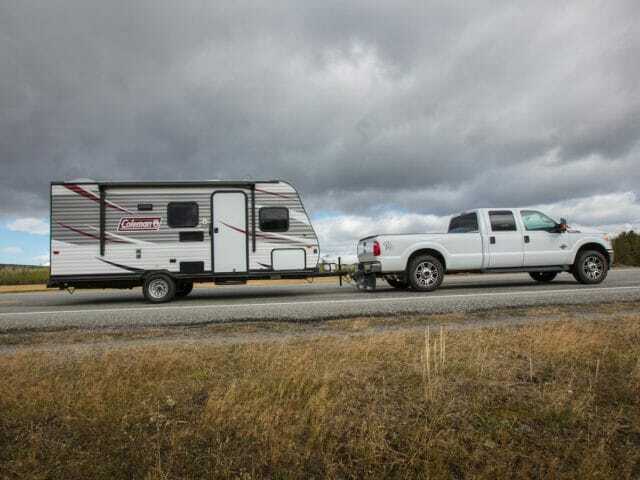 So what is the perfect RV generator for your rig? Well, that depends on you and your RV. Lots of people do just fine with a smaller, more compact generator. While others prefer a larger unit to run more appliances and electronics. It all depends on your power needs. Hopefully, we’ve given you a good place to start looking for the right unit. If you want more advice, visit one of the many Gander locations to discuss the options with an expert. Already have a generator? What do you use and why? Leave a comment below. Rebecca Kelly is a writer and SEO researcher. She lives in rural Minnesota with her husband, two kids, three dogs, and 40 chickens. She loves to explore the outdoors, camping and fishing with her family on the lakes of Minnesota. Visit her blog to see more of her work.